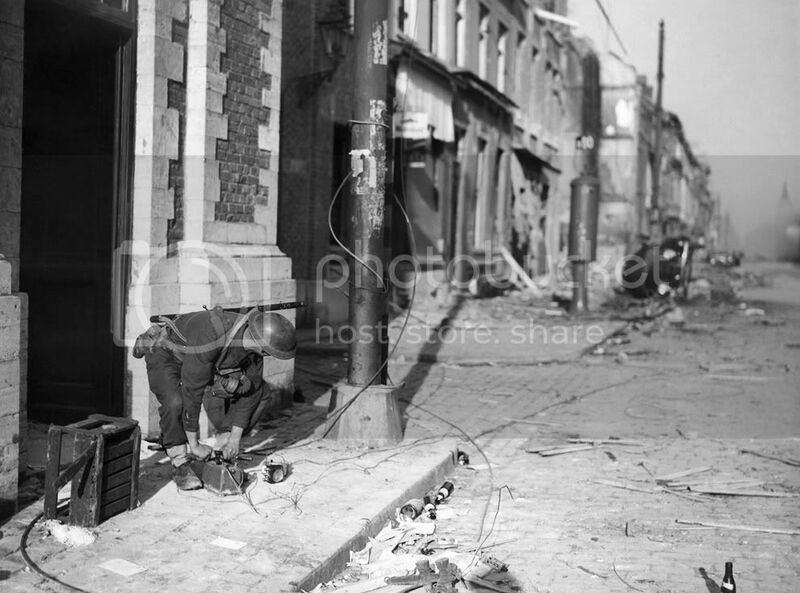 An allied soldier thrusts the plunger of an explosive mechanism that will blast a bridge to delay the Nazi advance, in the Leuven region of Belgium, on June 1, 1940, before this area fell to the Germans. 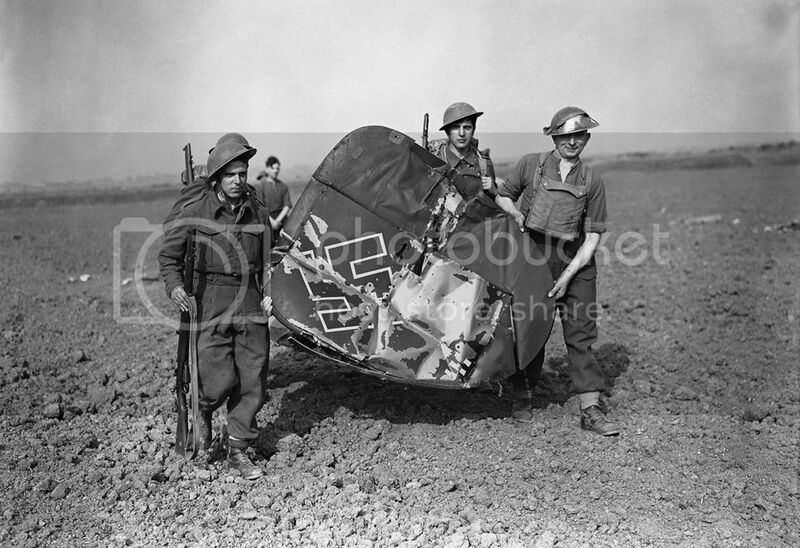 Soldiers carrying off the tail of a Messerschmitt 110, which was shot down by fighter planes in Essex, England, on September 3, 1940. 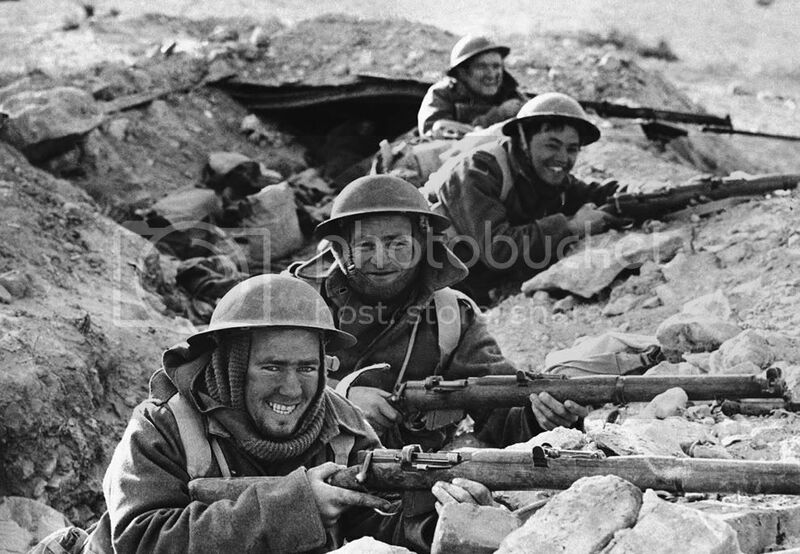 British Infantrymen in position in a shallow trench near Bardia, a Libyan Port, which had been occupied by Italian forces, and fell to the Allies on January 5, 1941, after a 20-day siege. 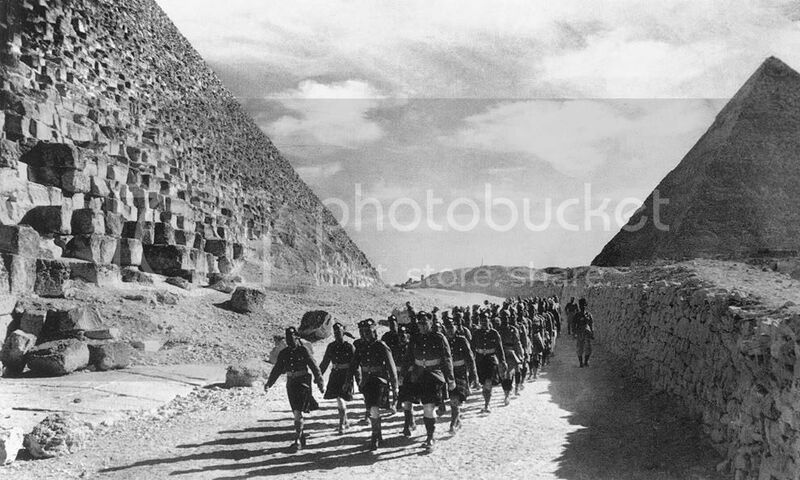 Cameron Highlanders, a Scottish infantry regiment of the British Army, and Indian troops march past the Great Pyramid in the North African Desert, on December 9, 1940. 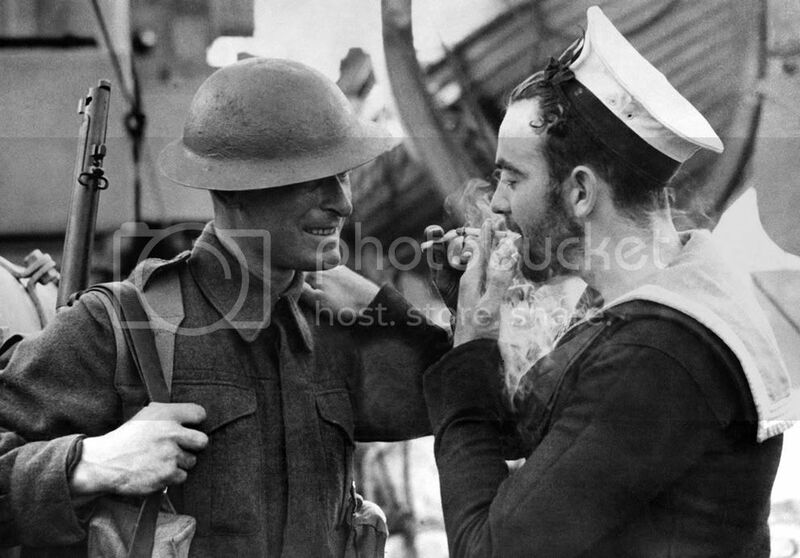 Two examples of Britain's war forces, a soldier in battle dress and a bearded Canadian sailor share a light at an English port, on January 14, 1941. 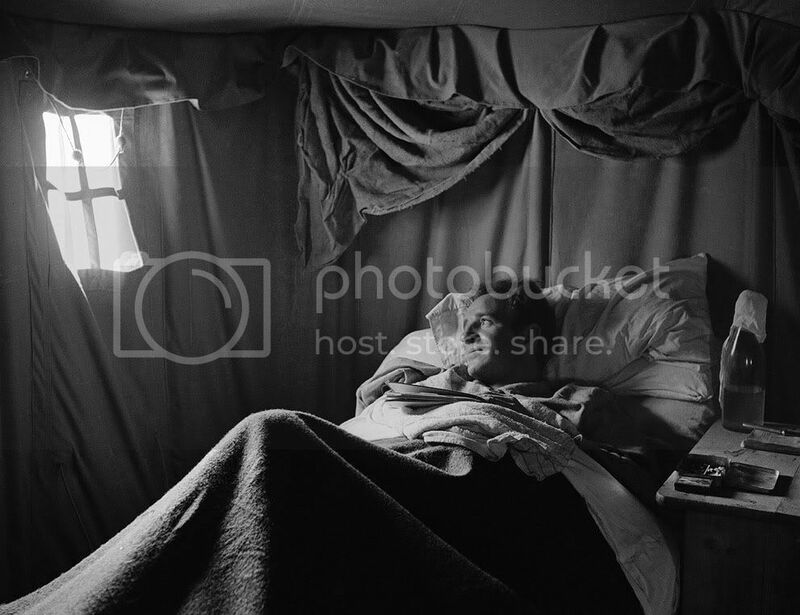 A wounded British warrior in Libya lies on cot in a desert hospital tent, on June 18, 1942, shielded from the strong tropical sun. 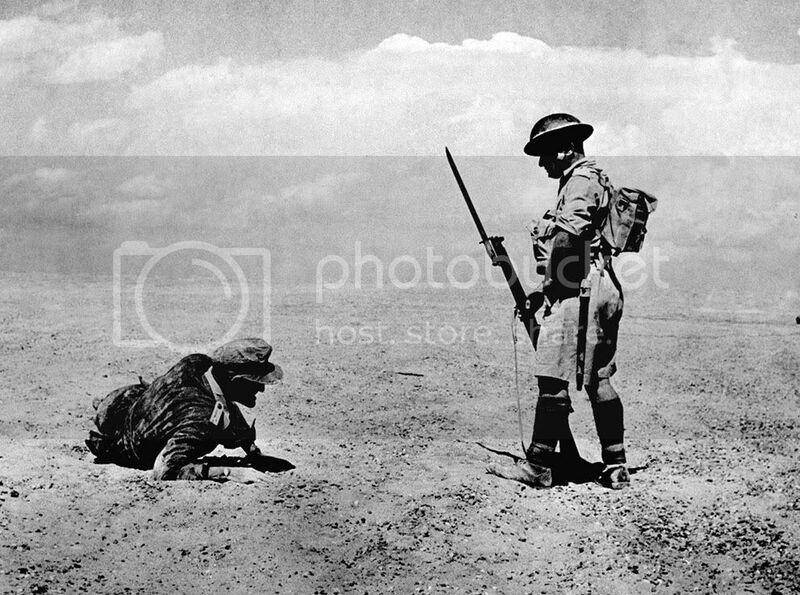 A wounded German officer, found in the Egyptian desert during the first two days of a British offensive, is guarded by a sentry while awaiting backup, on November 13, 1942. Wildly enthusiastic citizens of Tunis greet the victorious allied troops who occupied the city. 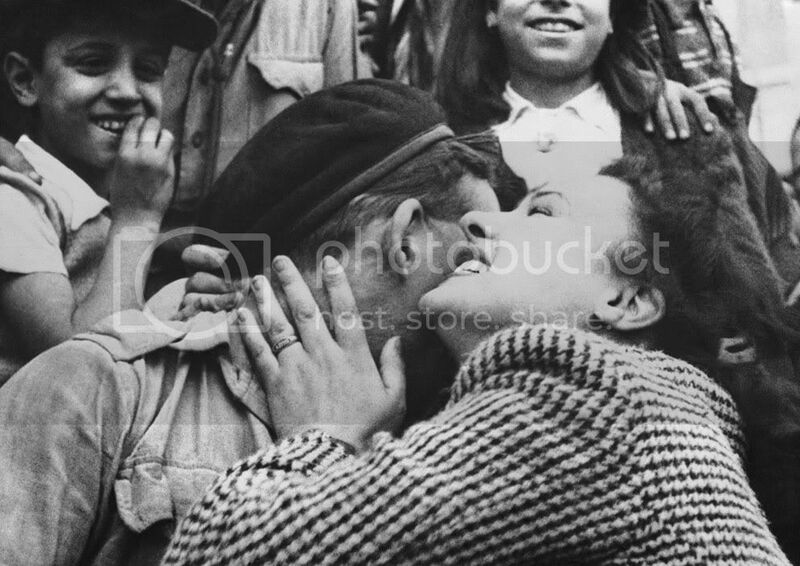 A British tankman gets a personal welcome from a Tunis resident in Tunisia, on May 19, 1943. Foot inspection for the 7th Armoured Division. 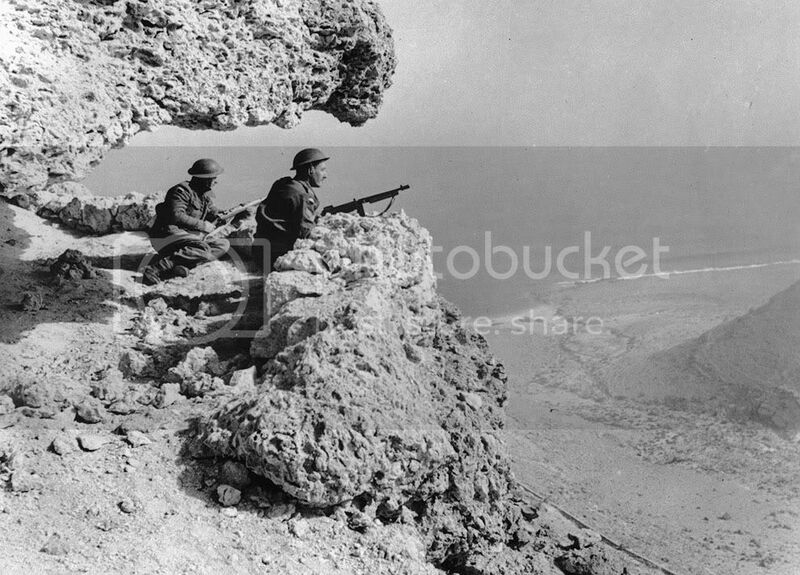 North Africa. In this pic, the Prime Minister W Churchill and General Sir Bernard Paget (Commander-in-Chief of Home Forces) watch infantry soldiers demonstrating on a battle course at a school of infantry at Barnard Castle, Country Durham on 4 Dec 1942. 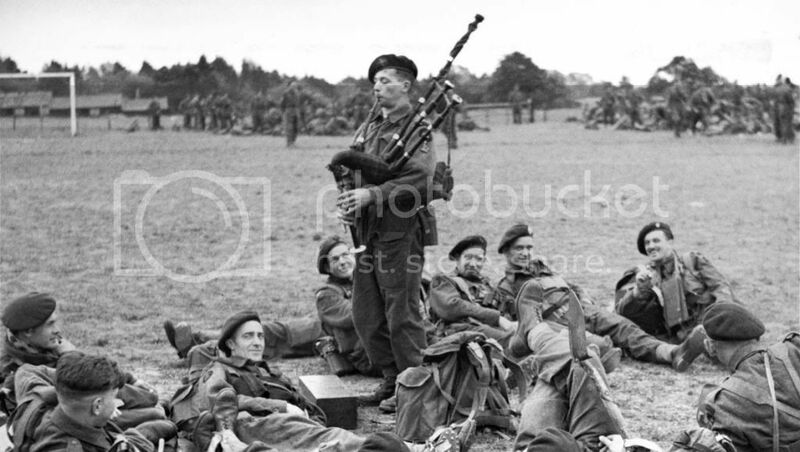 Members of 1st Glasgow Highlanders, 52nd (Lowland) Division wearing winter camouflage, prepare to go out on a patrol near Gangelt in Germany, Jan 1945. Commandos of 1st Special Service Brigade after landing on Queen Red beach, Sword area, 6 June 1944. Im friends with Bill Millins son on facebook. 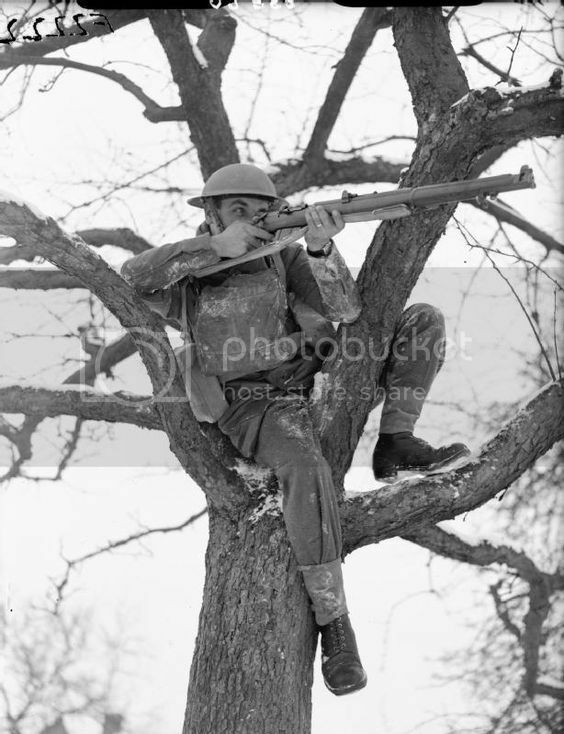 A soldier from the 2nd Warwickshire Regiment takes aim with his rifle while seated in a tree, Rumegies, France.